The technology industry wasn’t always a boys’ club. Sub-sectors like software programming were akin to what nursing is today; very female-centric. 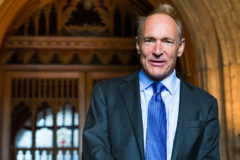 How gender is now distributed in the technology sector belies this history. Nonetheless, there are women who, regardless of what obstacles exist, have and continue to push boundaries and limits in the industry. 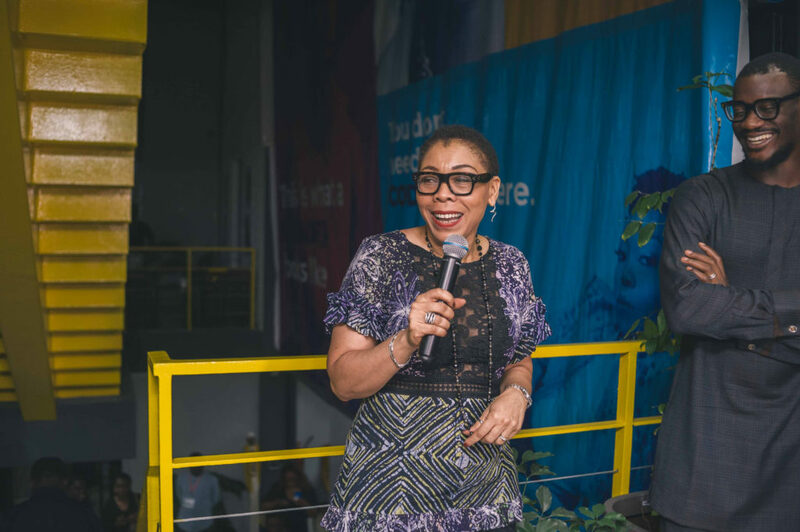 TechCabal created the Tech Women Lagos portrait series and exhibition event, to celebrate the accomplishments of 50 such women working in the Lagos technology industry. 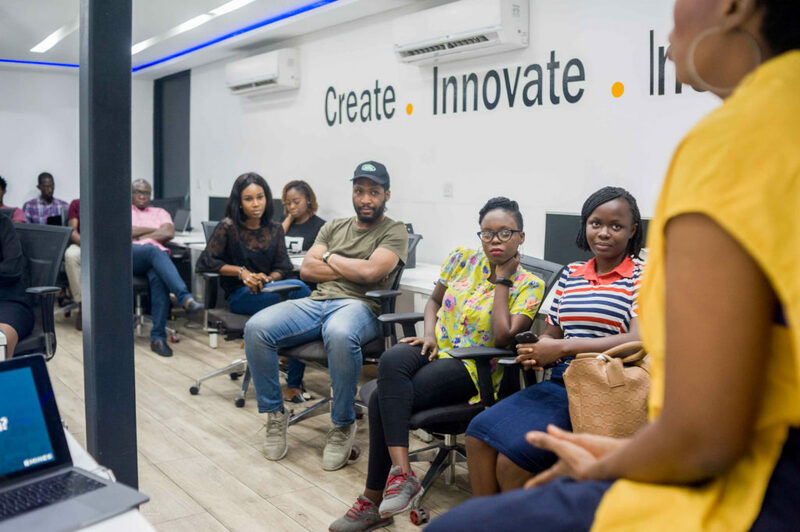 From developing code at startups to telling compelling brand stories and leading innovative Nigerian companies to the forefront of the global tech scene, Tech Women Lagos profiled 50 women working in a variety of sub-sectors and at different career levels in the ecosystem. 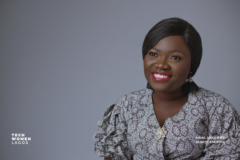 Photographed by Kunmi Owopetu and Rebecca Nwose, the Tech Women Lagos portrait series was released on its dedicated website – www.techwomenlagos.com – on International Women’s Day, March 8, 2019. This was followed by a four-day long, multi-sensory, physical exhibition themed “AUDACITY” which was curated by our exhibition partner, A White Space Creative Agency. 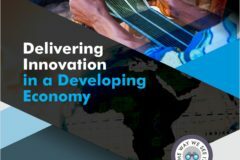 The event series was made possible with the sponsorship and support of Access Bank, W Community, Africa Fintech Foundry, Andela, Bluechip Technologies, Mines.io, World Wide Web Foundation, Lagos Innovates, MEST and RDF Strategies. On opening night, we welcomed the profiled women, their friends and family, our sponsors and partners, media representatives and stakeholders in the tech industry. “I’m completely blown away,” Ayona Trimnell, Coordinator, W Initiative said about the portraits. 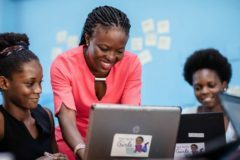 “Diversity is really how we’ll win,” said Andela Country Director, Omowale David-Ashiru in her remarks. 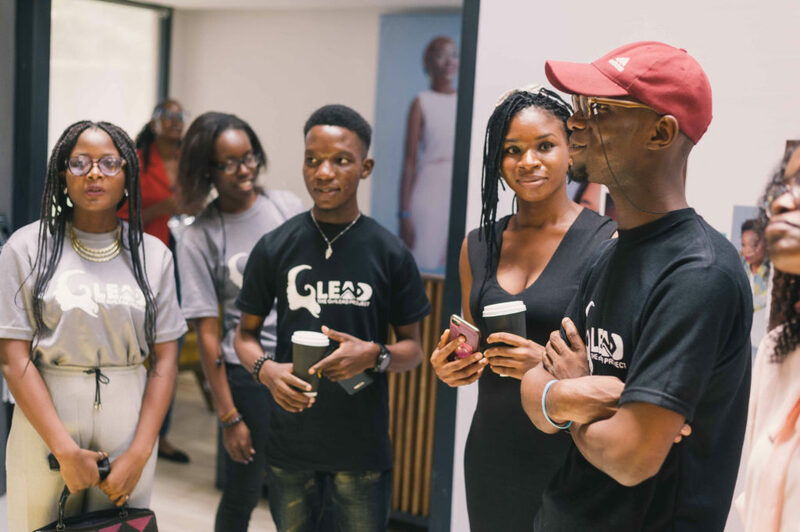 Over the two weekends, more than 90 people visited the exhibition including the team from GirlLEAD Project, a coding bootcamp initiative for young girls based in Edo State, Nigeria. 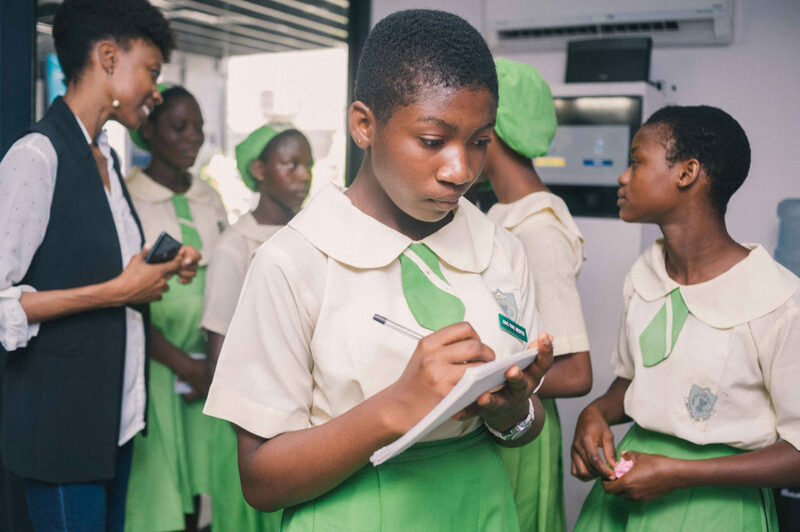 According to Stephen Gabriel, a software developer, medical student and Head of Product Development at the GirlLEAD Project, the exhibition is not only a win for the initiative but also an inspiration for the girls in his project. 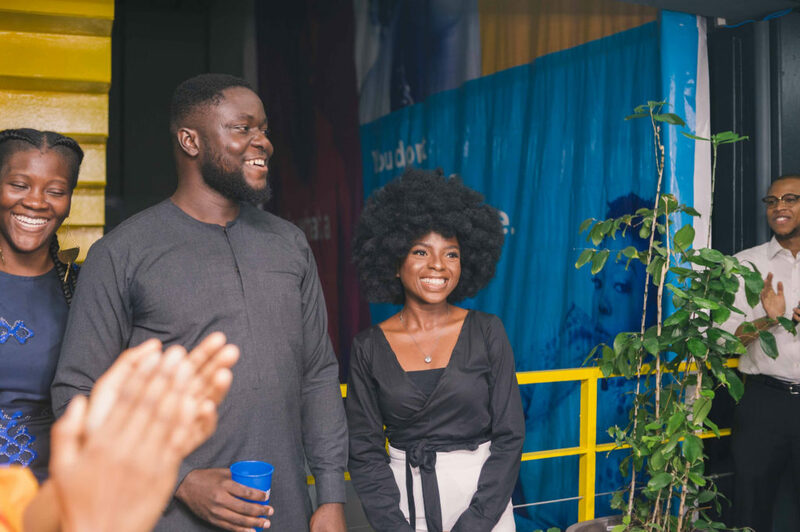 The series received tremendous support in the media with features on BBC Pidgin, BBC Africa, Business Day, Guardian, Guardian Life, Stears, Pulse, Connect Nigeria, Independent, Bellanaija and many more. 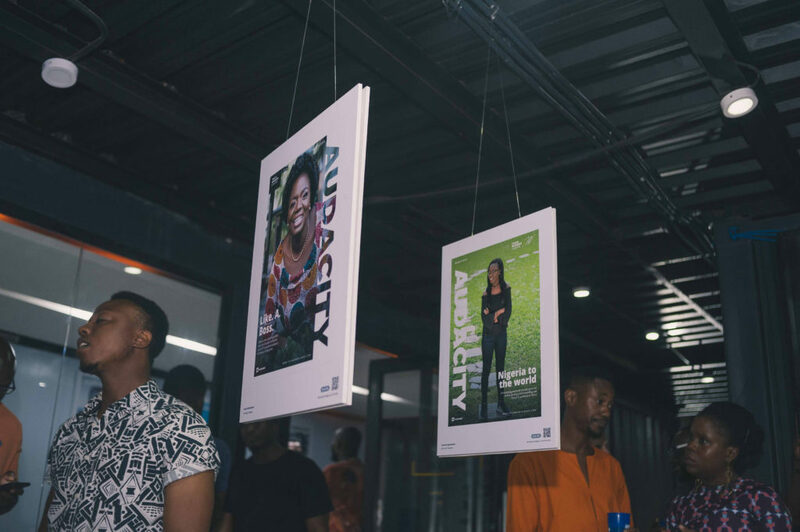 The Tech Women Lagos portrait series and exhibition wasn’t solely put together to experience great photography and increase our knowledge bank of women in the technology sector. 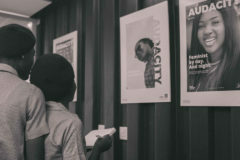 In addition to the exhibition, TechCabal organised workshops targeted at women, in partnership with technology companies and sponsors. 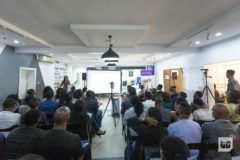 At the Tech Women Lagos x Andela workshop, an all-female panel, moderated by Andela’s Internal Communications Coordinator Oluchi Ezeugo, discussed “Taking a Seat at the Table.” Temitope Adeniran, Bolanle Banwo, Feyi Olabiyi and Mohini Ufeli, shared their experiences starting out and working in the industry while teaching the room full of women (and men) to own their voices, speak up and ask questions when they need clarity and not be shy or reluctant to demand they be treated respectfully, fairly and valuably in any organisations they find themselves in. At the Tech Women Lagos x Paystack panel session, how to excel in the technology industry without writing a single line of code was explored. Here, panelists Khadija Abu, Tosin Dada-Faniro, Odunayo Eweniyi and Mohini Ufeli, talked about the diversity of roles available in the tech industry, how to begin and excel in those roles with a non-tech background, and offered advice to women in the room looking to make the switch. 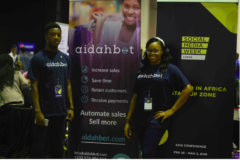 “Recognise that you come with value,” Odunayo Eweniyi, Chief Operating Officer, PiggyVest, urged the attendants. 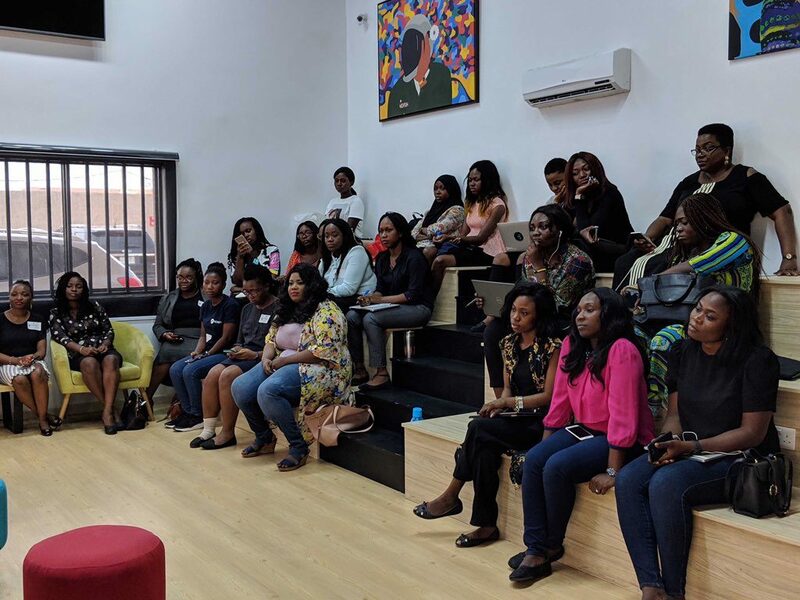 Flutterwave, in partnership with Tech Women Lagos organised a fireside chat where women came together to discuss how to win and own their successes. Damisi Busari, Nemi Banigo, Sandra Ezeibe, Nichole Yembra and Simbo Olatoregun made up the panel, which was moderated by Ejimonye Ofodum, Product Marketer at Flutterwave. The chat glided from how to build confidence to dealing with imposter syndrome. Adia Sowho, Managing Director, Mines.io had some nuggets of wisdom to share with participants at the Mines x Tech Women Lagos workshop. Discussing how to lead complex organisations, “You are not successful in a complex organization without your team,” she said. This video clip of her teaching participants to learn how to interact with their bosses will stay timeless. 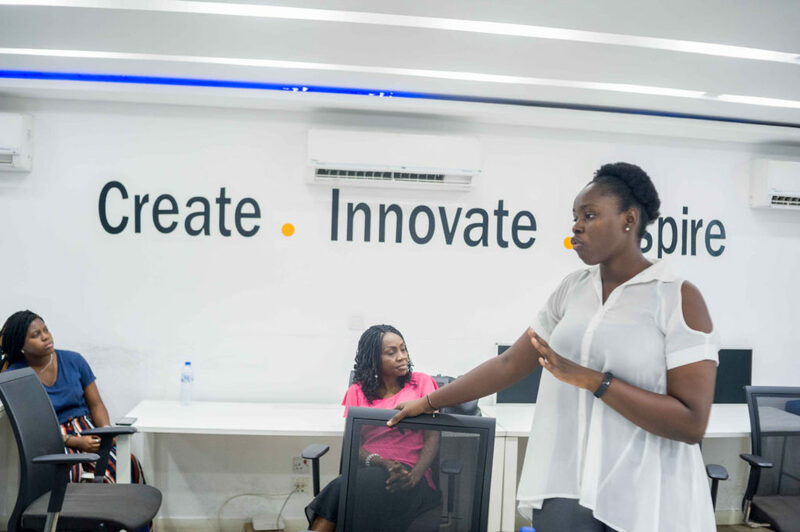 Access Bank’s Busola Ogundipe facilitated the Access Bank x Tech Women Lagos workshop where she discussed how to bridge the financing gap experienced by female-owned SMEs. 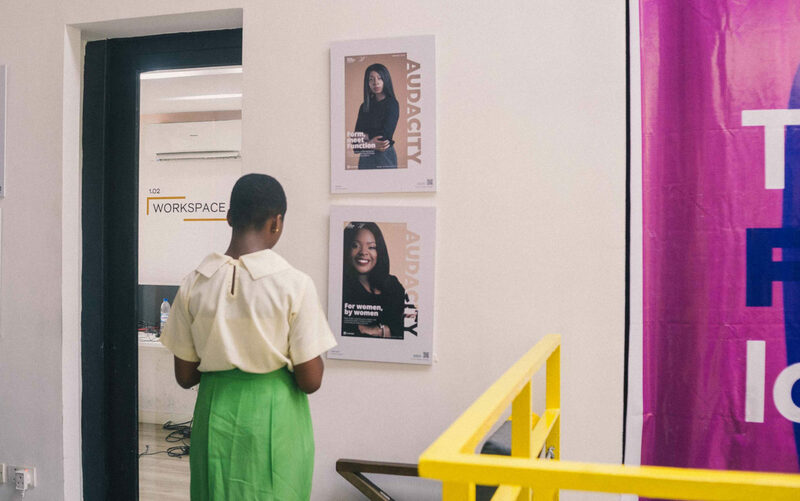 One of the key visions of the Tech Women Lagos portrait series and exhibition event was to show young girls and women what diversity in the technology industry looked like. We wanted to show them that regardless of the current gender distribution in the sector, that there are spaces for them in the industry. We wanted to show them women who are excelling in the industry and inspire them to reach for their goals. 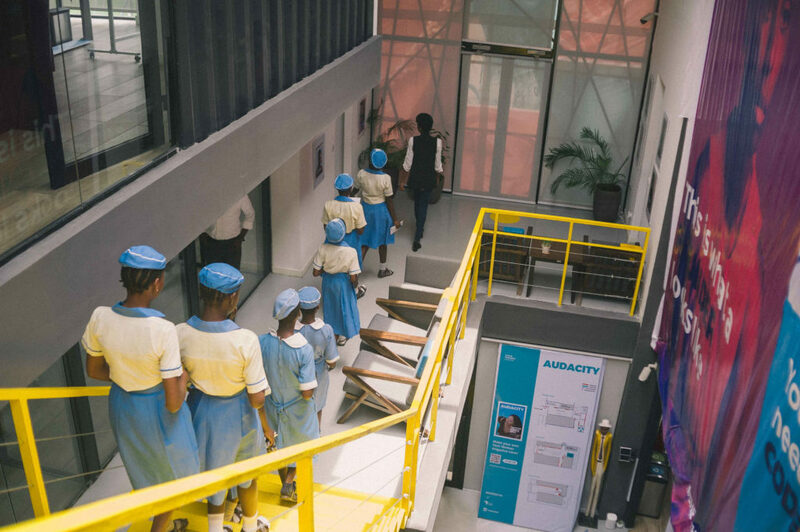 While we would’ve loved to have more students, in partnership with CodeLagos, we welcomed 45 students from three schools in Lagos–Akande Dahunsi Memorial Senior High School, Itolo Girls Senior Secondary School and Victoria Island Senior Secondary School. 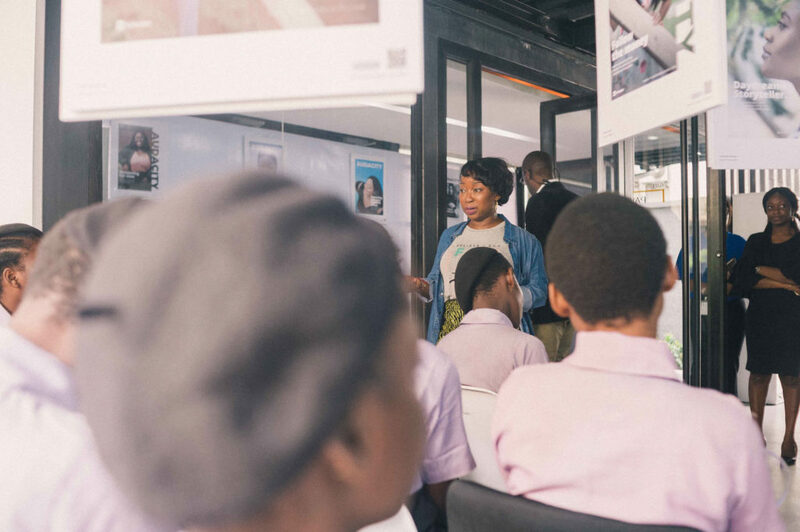 The students were guided around the exhibition learning about the women in the series and their roles in technology companies where they work or which they founded or manage. Women profiled in the series–Banke Alawaye, Teju Ajani, Nkemdilim Begho, Adeola Shasanya and Lexi Novitske–facilitated chat sessions with the students and answered as many questions as they had afterwards. 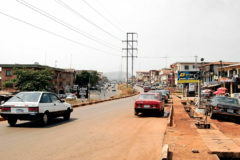 “I want to be a graphic designer,” said Adeyanju Peace, an art student in Victoria Island Senior Secondary School. Having learned to use Scratch in the CodeLagos programme, she has participated in a design competition celebrating Girls in ICT Day, coming in second place. “I’ve learnt to be strong and courageous and to keep on trying,” she says about the exhibition tour. Victoria Adetuga wants to be a lawyer when she’s older but she impressed the crew with her knowledge of Scratch and her current interaction with Python, a coding language she’s learnt since being part of the CodeLagos programme. Also an art student of Akande Dahunsi Memorial Senior High School, Victoria and her team have built a game using Construct 2, a submarine arcade game which she’s hopeful will be played by kids across the globe someday. “I’ve learnt it’s not age or size that will bring you success,” she said about the exhibition. Thanks to CcHub, GetKwikMoney and Access Bank, every girl left with two gift bags after the exhibition tour. The website will remain live and accessible as will the inspiring stories of women in the series. 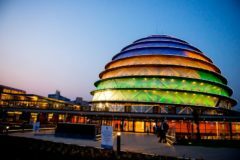 If you are yet to, sign up for our newsletter to stay up to date with any post-event news we may have for you. 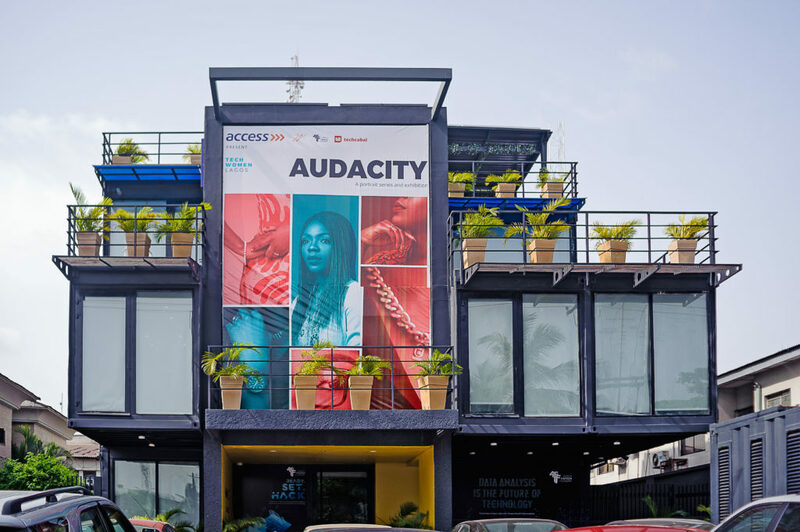 The AUDACITY exhibition closed on March 24, 2019, but this is just the beginning for us at TechCabal.